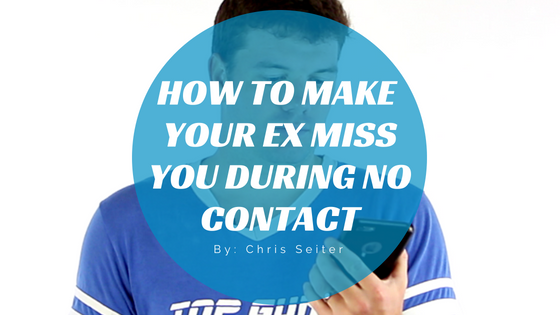 Chris, I realize that the no contact rule is designed to help make your ex miss you but is there anything else I can do to raise the chances of this happening? In fact, it was so good that I decided to craft a whole post about it. So, that’s what this article is. I’m going to teach you three things that you can do, on top of the no contact rule, so that you can ensure that you are doing everything you can to make your ex miss you. Before I begin writing every article on this website it undergoes a pretty intense research process. Usually I come up with a few hypotheses and either try to prove them or disprove them. I’m a big believer in using research so that over time we can guarantee that we are getting to the bottom of the best way to get an ex back. Anyways, when it came time to look for the most effective ways to make an ex miss you during a no contact rule only three strategies made the cut. What I’d like to do now is take an in-depth look at how you need to employ these three strategies. 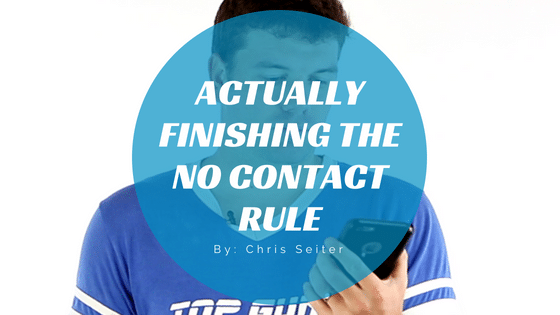 I was planning on making a big speech about this because this is something that I drill over and over again in my book but I figured before I start doing that you probably need a quick primer on what the no contact rule actually is. In short, the no contact rule is a specific strategy that you employ when you are trying to get your ex back. You basically ignore your ex for a period of time on purpose with the intent of making them miss you. I’ve written about it a lot and have even written an entire book about it. Of course, explaining the no contact rule isn’t why I’m writing this section. Instead, I’d like to talk to you about the people who fail the no contact rule. In my experience around 80% of the clients that I work with end up failing the no contact rule. Now, just so we are speaking the same language when I talk about “failing the no contact rule” I’m talking about people not completing it. The no contact rule utilizes two important psychological principles that really make it effective. Here’s a quick crash course on those principles for those of you who want me to get to the point. The Scarcity Principle: We are drawn to things that are scarce. The perceived attractiveness of those things are raised when we learn there aren’t many left. Together these two concepts do much of the work to make the no contact rule so effective. As stated above, 80% of the clients I work with fail the no contact rule. You actually failed no contact. Consider for a moment this scenario. Now, these two people are identical in every way except one. 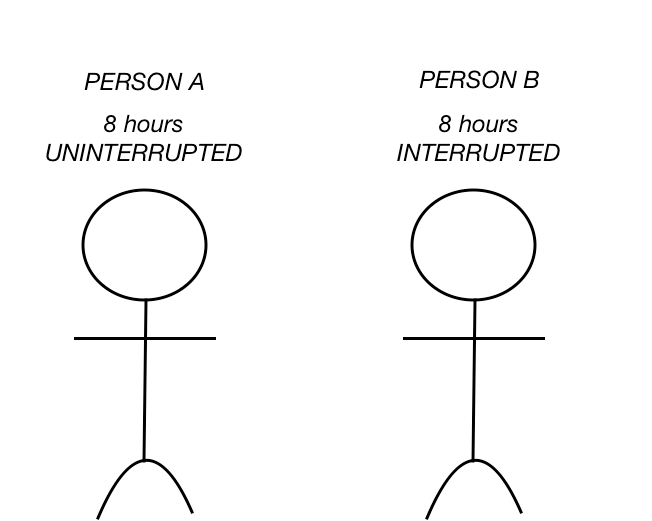 Person A gets 8 hours of sleep at night that is uninterrupted while Person B still gets 8 hours of sleep but is interrupted 6 times and wakes up each of those times. Who do you think will be more productive the next day from an energy perspective? 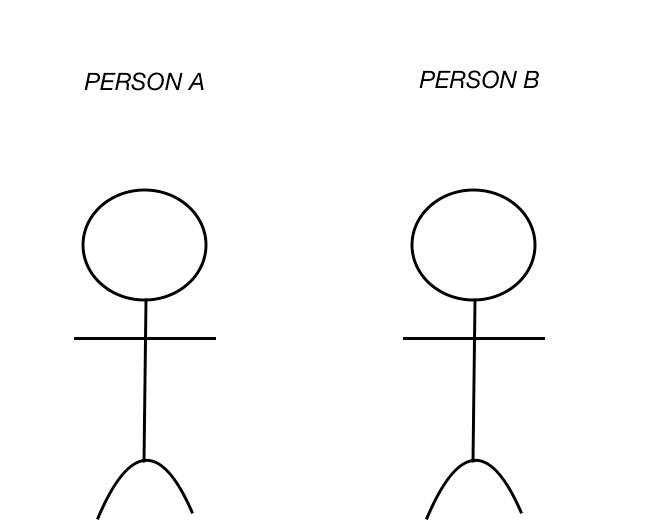 Well, breaking the no contact rule early is a lot like becoming Person B. You are interrupting the natural process that the no contact rule is supposed to enact. And to further reiterate that point I’d like to move on to my second point. While I was commiserating with her on the fact that this particular person wasn’t taking her advice she said something very insightful. I was trying to explain to this person that our entire process emulates moving on. But I promise you that her observation is 100% spot on. Look, I’ve been doing this for most of the decade and I’ve learned a lot in that time. What never ceases to amaze me is the fact that often when women try to hard to get their exes back they fail. However, it’s when they get pushed to a point where they are going to give up that they start to get results. When I brought this up to my wife last night she nodded her head in agreement and added on that you can’t fake “moving on” and sometimes that is the very thing you need to convince an ex of in order for them to take you seriously. I know it sounds so counter-intuitive. I try to teach people to look at it differently. Instead of viewing it as moving on from your ex I say to view it as “moving on without moving on” because make no mistake about it while we have found a thread of success in “moving on” everything we advise people to do is done with the intent of winning that person back. Like I said above, I’ve been doing this for a very long time which means I’ve seen how people interact with our content. I also see what strategies people put into practice. The big problem I see with “moving on without moving on” is the fact that no one does it. We are slaves to our own desires and we desire our exes. Moving on requires you to work on not desiring your ex and that is really hard for people to do. In fact, it’s when men and women lose all hope that they start to see results because that’s when they essentially give up. During your no contact period rather than obsessing about your ex do everything you can to pretend to be moving on. Make it look at authentic as possible. I would get into details but honestly I cover this in-depth in my articles on social media. I have no idea why I am talking about that other than the fact that I believe that what I am about to teach you comes as close to a “ninja technique” as I have ever seen. The idea is that if you can interest the stimuli in your ex related to you, you can hijack his thoughts without ever having a direct conversation with him. In 1999 a test was performed to further understand subliminal messaging. 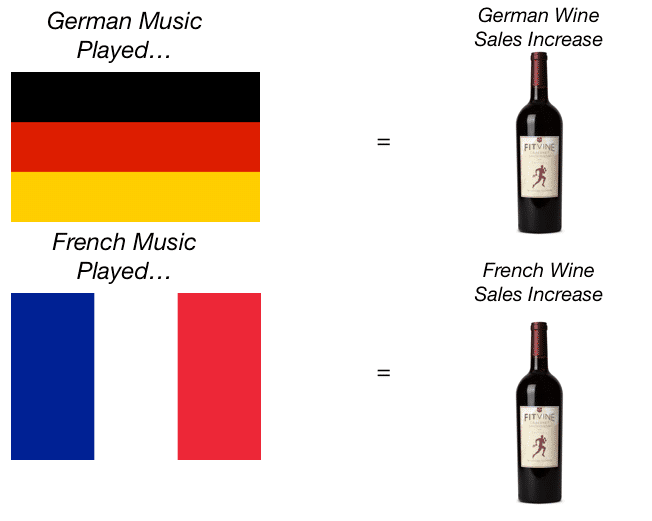 The participants were present at a liquor store and researchers found that when German music was played German wine sales increased and when French music was played French wine sales increased. Well, the music served as a sort of catalyst that caused the wine most closely related to the type of music to be more attractive to people. How does this relate to the no contact rule? One of the biggest fears that people have when they begin a period of no contact is that they think their ex is going to forget them (I’ve never seen it happen.) However, if you are terrified of this then subliminal messaging is your best friend. In the example above I talked about how music raised wine sales. In that example “music” was a catalyst meant to interest the stimuli beneath our consciousness which in turn makes particular types of wines more attractive. What we need to do for you now is find a catalyst for you to use during the no contact rule so that you will appear a more attractive option for your ex when your period of no contact ends. Oh, and it’ll have that added benefit of making your ex miss you more. 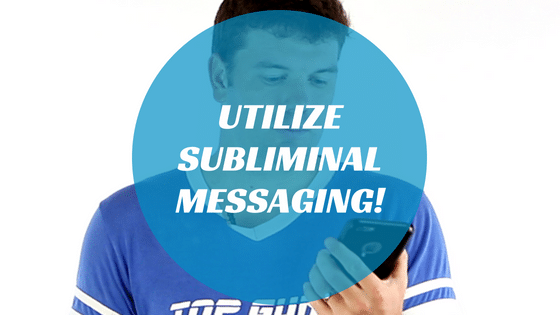 Here’s the tricky part, your catalyst can’t be a result of a conversation you have with your ex. It has to be something a bit removed from you and sometimes even out of your control. The best one I’ve been able to find has been the use of social media. A few years ago someone in our Private Facebook Group had the brilliant idea to use Facebook in tandem with some subliminal messaging. If I’m at the top of my exes Facebook news feed every time he logs on it’s going to force him to think about me constantly during the no contact rule and eventually he will miss me so much he is going to want to see me. Her theory proved to be correct and she did eventually get him back. However, she had to do a few things first. In order to guarantee that she would be at the top of the Facebook news feed she ended up hiring a social media company to help improve the social signals to her posts so that it’s always at the top for him. It was a brilliant catalyst. You just need to find yours! My ex and I broke up because he was feeling suffocated; that was right after we had spent almost 10 whole days together without a break. I was devastated. I did the nagging, calling, texting route knowing it was wrong. He has been up and since then even going so far as to tell me I’m the most amazing, loving person he’s ever met and that he would be an idiot not to see us through. That was St. Patrick’s day. We spent the following Monday night together and Tuesday night as well. We facetimed on Wednesday and everything seemed fine with him even asking if we were okay and telling me he needed some emotional validation that I cared and felt we were moving in the right direction. I, of course said yes. By Friday afternoon he told me he was incredibly depressed and didn’t want to get out of bed. We had made plans to see each other that Saturday. I spent all day at work feeling like he would cancel He didn’t I went to his house and he was still in bed (4pm). We did go out and he seemed okay (not withdrawn or quiet). I asked him that even though he was feeling this way were we stick working towards getting back together. He said yes, but right now we were in a gray area. At the end of the night he said he wanted me to stay, but also wanted to be by himself that night. Take a hot shower and sleep. He spoke to me later that night and said we were working on getting back together. He even said he would see me the next day if he was feeling better and he would text me when he woke up. I hadn’t heard from him by 1 o’clock so I texted and asked if he was coming, he said he was still in bed and wanted to be by himself. He was depressed Monday and by Tuesday I had to ask if we would see each other Wednesday like we planned. He said he had too much going on to even think about forming a relationship. I let him know how much he was hurting me and I said I needed to talk to him. He said I could vent and I would listen but he didn’t want to hash this out. I ended up texting him as I couldn’t bear a phone call where he didn’t really wanna talk. I told him maybe our timing was off; he agreed. I told him I thought some actual time and space might help. I said why don’t we reconvene in 3 months. He said that was so far away. I said what about 1 or 2 months? He said how about 2 months? I agreed and said call me in 2 months. He then said he does love me and that he was still wearing his necklace I had bought him. What should I do? It’s been a whole week and it’s killing me. I’m trying to keep busy. Working extra at my second job, going to the gym, moving apartments, spending time with friends. Friends have said it’ll be less than 2 months before I hear from him. Are they right? What should I do? Will he contact me? Or is it a lost cause? Sorry for the length. I’m just confused. Hey, my ex of 1 year broke up with me yesterday. He’s tried to break up with me twice, both reasons have been the same. He says there’s nothing wrong with me I’m beautiful and smart and have a great personality but he wants to focus on himself. He says in a relationship u either give it 100% or nothing at all and because he can’t give me 100% he wants to leave. He’s starting a buisness and getting back on the gym grind so he dosnt have time or money. Money because he wants to invest in his buisness idk why he sees this as a factor in our relationship and time he dosnt have because he dosnt have time to spend with me, sleeping over isn’t enough for him. he also truly believes that we won’t work out in the future cuz of the lack of time I’ll cheat on him or something. He also said he’s been having visions that it wouldn’t work out with me and someone brought it up casually without my ex even telling them and that firmed his decision even more. he still loves me and told me he would miss me but he told me he would swallow those feelings and love me from a distance. he’s intent on us not working out in the future he thinks if he continues dating me it’s gonna end tragically later which is why he’s doing it now. Does the no contact rule still apply here? , idk what to do I need help. I know we can make it work but he dosnt. So how do I get him back and strengthen our relationship. My boyfriend and I have been living together for about a year. One day I come home some of his clothes were gone. I asked him about it and he said he gave them away. Okay, maybe. So finally moved out and said that we need to work on our relationship and that we are still exclusive. I did think it was problem between us. Okay contact was good at first until he got all his things out . After that the contact got slimmer . Okay , no time spent with me during the holidays. So I decided to implement the NC rule and not call him ( I don’t have a time frame). I decided to let it flow. I’ve been the one reaching out since he left with little effort on his end. Would the NC tell me if the relationship is going to end the relationship completely or make it better? I do want the relationship to work, but he’s not making as much effort as I am. Hey Chris. I’ve been doing the no contact for about 2 weeks now. We’ve been broken up about 3 months. The first month was a break to Center myself. Which was my idea. I’ll call him up see how he’s doing. He’s doing fine. He has moved on! Okay he moved on. He wasn’t supposed to do that. That’s okay I know he loved me. But I know he was afraid. We were getting serious. He said he needed me to help him he wasn’t ready just then. That was before the break he said that. I’ve been staying away and not contacting him for about 2 weeks. Where is his head?I know he’s seeing somebody else. And I am trying to get myself together like I intended to. I miss him. Hi Ashley….usually best to stick with your NC program. A big part of NC is you unending focus on your own self healing. Do you have Program? I was long distance with my bf ( middle east to europe) for 6 months then i moved in with him and now after another 6 months he called time on us saying he really thought it through but it isnt working. Ive had a hard time making friends in a new place and less luck with a job and became depressed. He gets quite anxious and stressed generally and with the fights and unhappiness which i think is also circumstantial he says to leave him alone that its definitely over and to arrange my things with his dad. Is there still a chance he will come back? His family say once hes made a decision he wont change his mind. Not sure what to do. Me and my boyfriend were together for 10 years . We recently broke up and I have been in NC for 9 days. This is our second break up , do we still have a chance ? Am I doing everything that I could do?? Odds are on your side given the length of your relationship. Are you following my Program for how to do NC according to my site or eBooks? I was dating my girl for 3 months. Our relationship was the best. We were very happy, we were weird together, doing crazy things and we love each other unconditionally. I was not over protective nor possessive towards her. Since last week she told me that she doesn’t want to be in a relationship, she wants break up, she wants to stay alone and she said she will not return to me. I haven’t done any mistake yet. Yes we fought over little things but we cleared the matter the same day. She even told me to move on as she doesn’t want to be in a relationship right now. I’ve been begging her to stay those days but she’s too stubborn. Today i started the No Contact rule. I’m scared if i might lose her forever. I miss her. Am i getting her back? Is the no contact rule is making her miss me? Is she going to make the first step? Hi Chris! I’ve been dating this guy for 3 months now and it was something more casual but I started to have feelings for him. A few weeks ago he planned camping with me and then texted late night saying he missed me. Well, we went camping. He showed me his favorite place. It was all good! But the other day when he was leaving me at home he said out nowhere he did want to date anyone anymore because he didn’t know what the other person was thinking and that for him to be in a serious relationship and fall in love he needed to be more organized with his life so he needed time. I was so shocked I didn’t know what to answer. A few days later I texted him If we were going to see each other again (cause he keep texting me like nothing has happened) and he said he didn’t know but he wanted to keep in touch and the he was doing this because he all the was thinking about was his love life and that he was felling behind in life. I said that I understood and he should take his time and let me know if he wanted to talk or see me again. Last Saturday he asked to go to his friends house with him. We spend the weekend together and he only apologized about telling all of that in the car but he wasn’t sure when to say or if he wanted to say it. We kept talking on Monday but then he ended the conversation and I’ve heard about him since (I didn’t text him either). What should I do? Should I just give up and move on? It seems you would benefit by rolling into no contact, but its best to understand well how it all works. Visit my site’s home page for access to resources and tools that will help you out! It seems you have reason to distrust him, otherwise you wouldn’t feel this way. It will all come out in the wash. But right now, leverage your NC period to heal and find things and are fulfilling and rewarding to you. This is your time for “you” to grow and seek to be the best “you” and enjoy all the things that bring you fulfillment. My boyfriend of 4 months left me after gradually giving me less time & then abruptly telling me he didn’t want to deal with anyone for an entire weekend, after which he broke up with me. I didn’t ask why. I just told him I didn’t want to hear from him again. I constantly lose good men after a few months, but this one was really special & I want him back. That was 3 weeks ago & we’ve had no contact since then. The men I date are my age(35-45) & very intelligent and socially astute. They all broke up with me & broke my heart. I have no idea why they left me when we seemed so compatible. I feel that they would see right through what I was doing if I tried to contact them for any reason after NC. My question is this: is this even working? I don’t break the NC rule at all. I’ve never had one of these men contact me himself after the NC. Is this something that really only works on younger, less experienced men? Because it doesn’t seem to work for me at all. I think you improve your chances with NC and at the end of the period, I advocate reaching out to the ex in a prescribed method. I discuss in detail in my ebooks, posts, videos. So tap into those resources. There is a lot more to NC than people realize. Its just one of the puzzle pieces. My ex and I broke up last month he said that he wanted to be by himself before we officially broke up I left him two days prior because he was having difficul saying “I love you” back to me. In the past my ex has showed me he cared for me but I guess he wasn’t in love with me which is very confusing. We were together for a year so when I said that to him it was already a year after we’ve been together. He said he couldn’t bring himself to tell me that. Then he proceeded to tell me he has been talking to someone else. So I asked him the basic questions and I said if you wanted to be by yourself why would you bring someone else into your mess? He then said it was a lie and he has told this lie before to get women to leave him (very dysfunctional I know) I told him he disgusts me and I hope whatever is true was worth it. Because in my eyes I don’t feel like that’s how you behave he’s a grown man and to act like that is not what I really want in a man. I just want to know two things why wouldn’t he just leave me alone after I had asked if he is ok to be in a relationship? Because he said he was going through a lot with school and his family that I know to be true. The other question is do men really tell lies about cheating to get a girl to break up with them, or was he really telling me the truth? Guys will lie. But everybody lies. But certainly, there is a lot of lying that exists around breakups. So if he is cheating….that is a lie to you as he is betraying your trust. If he is lying about cheating….that is not healthy either. Have you considered implementing NC? My website has a lot of resources that can help you with your ex recovery plan. Visit my home page to tap into some of them! My ex was with a girl for almost two years. He never really stop looking for me, he showed up at my house etc and talked about us. The possibility and the feelings. Now he is single two months and we’ve been seeing each other but he stills thinks of the ex and now says he wants to be a single guy, go out with friends and FLIRTS eith other girls. I was shocked but continue to see him. But yesterday decided to tell him that there are boundaries and i will not be there while he does that no respect. He started calling because he said “he wanted to response to that that he has that right” but later he was busy and didnt told me anything. I started NC. Im afraid he continues eith other girls. What should i do? I agree. He needs to understand you have little to no tolerance for his insensitive flirting behavior. NC may help your ex realize many things. I understand what you’re saying Chris but I’ve already completed no contact. How does it work for someone who has been blocked but I made a positive connection the other day? I find this site really confusing. Last year it was so simple and this year I feel as though I can’t find anything on your site anymore. Most NC periods run from 14 to 45 days. Check out my eBook, “The No Contact Rule Book” as it dives deep into this subject. The sweet spot for a lot of people is around 21 days…but varies depending on many factors and whether you modify the ex recovery plan depends on many factors. Hi Chris. So I completed 30 days of no contact. I contacted ‘my friends with benefits guy’ after 32 days. I called him with no caller ID as he has still got me blocked. It was a one min convo, it was an okay convo, he asked who it was, I told him and then asked him how he is and called to see how he was doing. He asked me how I was. Then he was like are you going to drop a bombshell, because remember when I said i was pregnant. I was like no I promise you. Then he was like I’m making sure. I did say that I’m sorry for hurting him, he basically repeated everything I said. Asked about him family too. Anyway eventually I said I’m gonna let him get on, and I said to take care, he said it back and that was that. Now what do I do because remember he has me blocked from everything? Maybe he was just nice for the sake of it because I called him out of the blue. I don’t know. Where do I go from here, can I even build rapport from this? So you made a connection and it was generally positive. Pull back awhile and see if he initiates anything. The thing is he’s in a different country and will be joining me on Nov. November is not too far, though I’m getting slightly impatient. Impatient cos I miss him so much. I want to get his attention so much but I don’t want to create drama and all that. I reduce my availability to him, to the extent of putting any notifications from watsapp on mute mode. I had a few missed calls and some messages. He’s the kind of guy that doesn’t want to show that he really wants me badly. Maybe it’s how men operates or …male ego? Kinda hard decipher his actions. Please help me with this. Im not in a tiff with my husband. Can I use no contact to make my husband desire me? If it is, what’s the no contact rule will be like? Hi Sally….I think there are other, better tactics to arouse your husband. Hi Chris. But technically we were friends with benefits since March. We just argued a lot pretty much so how would he compare me with his girlfriend? To be honest I think he’s always had a girlfriend. I don’t think I mean anything to him even though I got pregnant by him. Haven’t seen him in 1 and a half months but haven’t been in contact for 21 days. What do I do? I feel lost as I’m blocked from everywhere. I’ve looked on your site about things. Did you manage to find the timeline of posting? 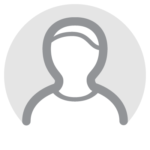 Hi Danielle…probably best to continue in NC as well as pull back and give yourself time to reflect on if you wish to invest any more of yourself in this person. He seems to be focused on self interest.